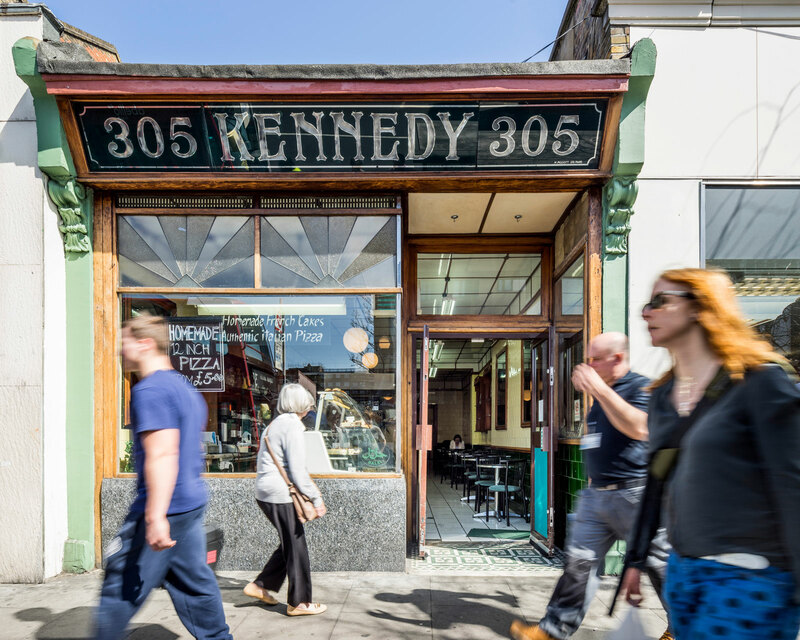 Kennedys Sausage shops were a well-known chain of South London butchers founded in Peckham in the late nineteenth century. 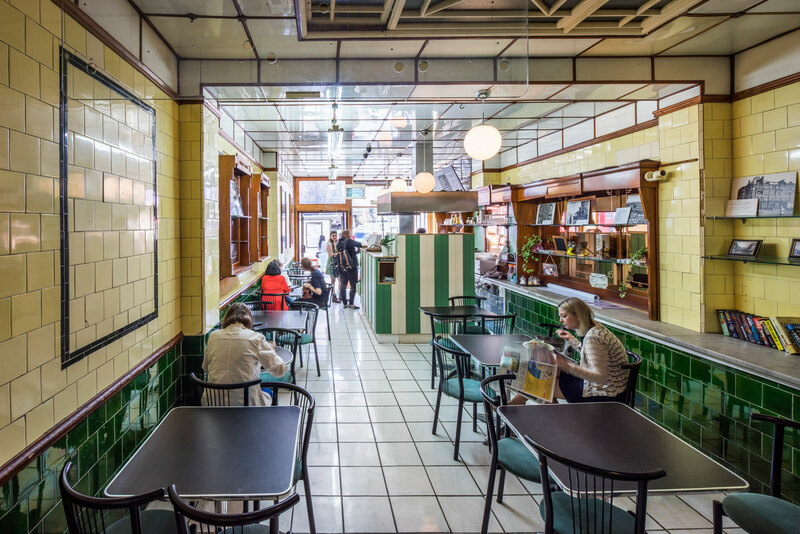 In the 1920s they remodelled their shops in the Art Deco style with a bold combination of green and primrose yellow tiles, display joinery and an abundance of mirrors. In 2007 the family closed the business and most of the Art Deco interiors were sadly stripped out prior to sale. 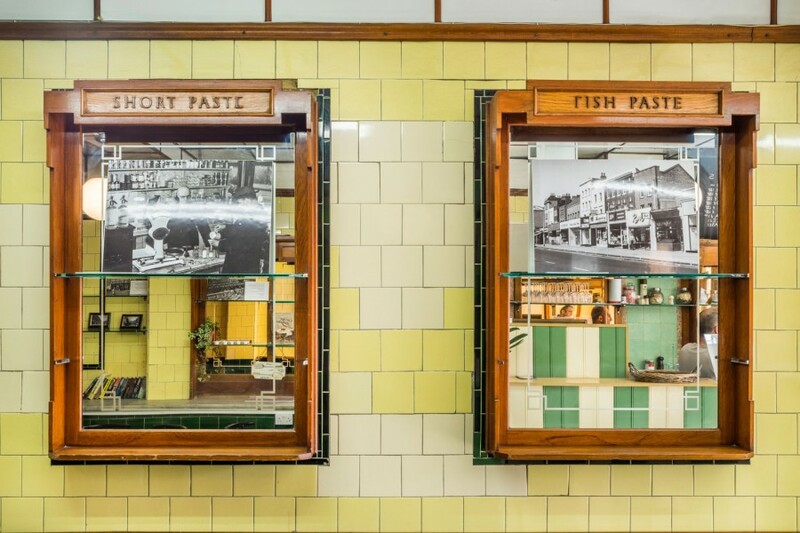 English Heritage gave Grade ll listing to two of the best surviving ones including this shop in the heart of the Walworth Road. This shop was empty for some years, and on English Heritage’s Buildings at Risk Register. 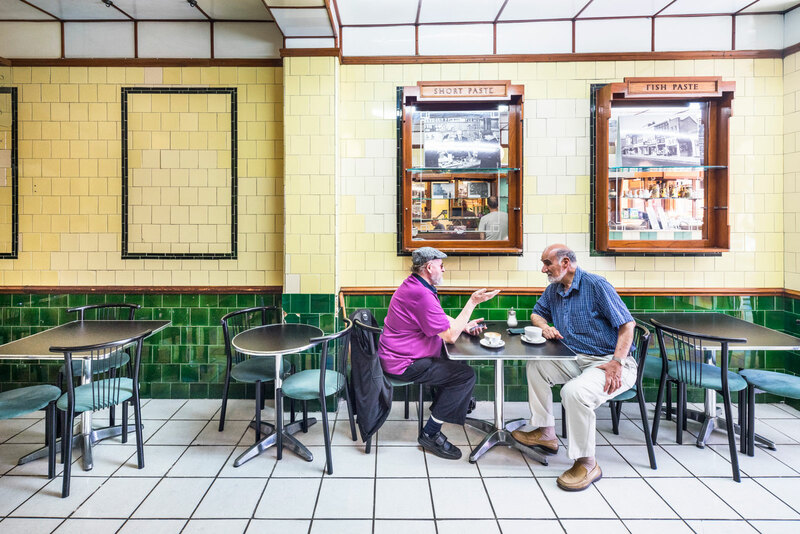 With the support of the Walworth Society, our project re-opened this shop as a pizza and cake café. 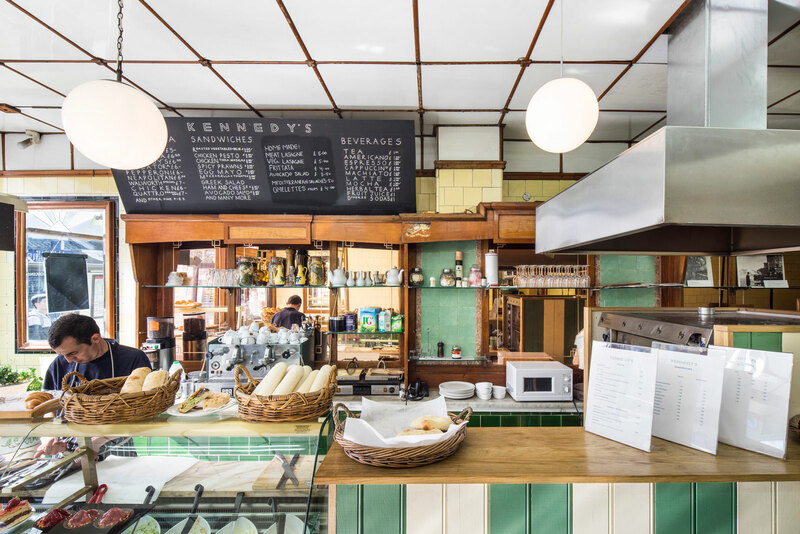 We were inspired by the bright, confident colours of the listed Art Deco interior and created a series of simple, new, timber elements to house the pizza ovens and the new baking area. We restored the shopfront and tiled interior and revealed some of the surviving features of the Georgian house to the shop’s rear. Mum sketched out a garden design and we opened up one of the few publicly accessible gardens on the Walworth Road to the shop’s rear.